In true Liberace fashion, Behind The Candelabra stole the spotlight during the Golden Globes 2014 nominations in the miniseries categories, garnering a Best Mini-Series award and two Best Actor nominees. 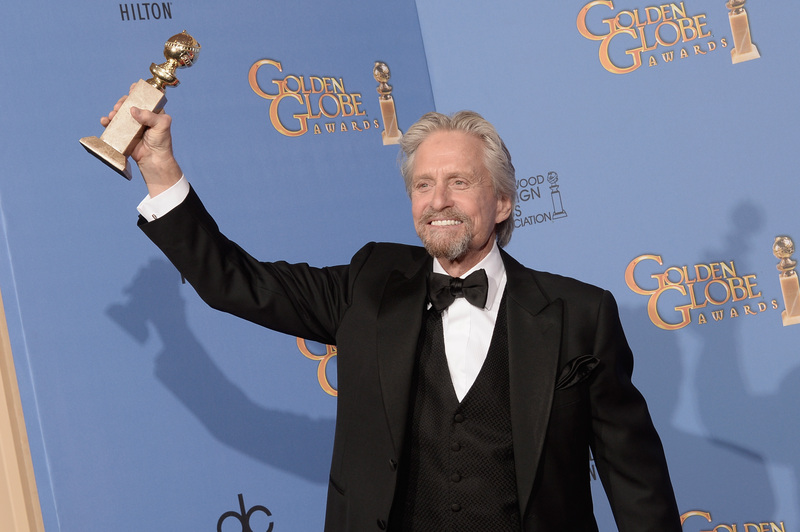 As expected, Michael Douglas won the Golden Globe for Best Actor in a Mini-Series for his performance as Liberace in Behind the Candelabra, beating out fellow cast member Matt Damon, and the rest of the nominees, including Al Pacino, Chiwetel Ejiofor, and Idris Elba. Douglas, who also won an Emmy for his performance in Behind the Candelabra, wowed audiences with his eerily believable portrayal of the famous piano man. The film, which also won the Golden Globe for Best Mini-Series, chronicles Liberace's secret love affair with assistant, Scott Thorson, played by fellow nominee, Matt Damon. The film goes on to explore their tumultuous tryst at the height of Liberace's fame and the destruction they ultimately cause in each other's life. Douglas has garnered multiple Golden Globe nominations and wins throughout his career, most notably his Golden Globe for Best Actor in 1987 for his performance as Gordon Gekko in Wall Street. Douglas noted his long career by commenting: "I used to think of the Hollywood Foreign Press as my aunts and uncles and now I think of them as my nephews and nieces." In his acceptance speech, Douglas took a special moment to thank his fellow cast mate, Matt Damon, adding, "The only reason you're not here is because I had more sequins." Oh, Michael — must you remind us of your insensitive Emmys acceptance speech?